What Should I Do With This Cork? So you’re on a first date at a fancy restaurant and you’re trying to impress your companion with your food and wine knowledge, among other things. The sommelier opens your expensive bottle of wine and promptly presents you with the cork. What should you do with it? You could put it in your pocket, or in your ear if you’re a jokester, or tell the sommelier that it’s a nice cork, one of the finest you have ever seen. The best thing to do, however, is to simply confirm that the stamp on the cork matches the winery on the bottle, and then say “thank you.” Don’t smell it or marvel at the wine saturation, or any tartrates that may be clinging to the bottom. It’s not about that. The ritual of the presentation of the cork at restaurants actually has its origins in, of all things, humidity and fraud. When paper labels made their way onto wine bottles starting in the 1800s, humid French and British wine cellars would eventually decimate their readability and/or their ability to stay affixed to the bottle. How could a wine producer make sure their customers trusted what they were drinking if the label had disappeared? Wineries eventually began to stamp their name and logo on the cork, of course. Restauranteurs would, in turn, present the cork at the table to confirm the wine’s origin. If the cork was removed in the kitchen and subsequently presented at the table, it left plenty of room for suspicion. After all, how would customers know if that particular cork actually came from the bottle they ordered? Of course, fraud in the wine industry has been around for a long time. For more extensive information about wine fraud, I highly recommend Benjamin Wallace’s book, The Billionaire’s Vinegar. My curiosity about the presentation of wine corks was nurtured by the fun book by Matt Kramer called Making Sense of Wine. I also highly recommend his book for the history of other wine rituals, and his astute opening chapter on “The Notion of Connoisseurship.” If you ever wondered what a connoisseur is, Matt Kramer will straighten you out. I have always appreciated his unique articulation of the wonders of wine. 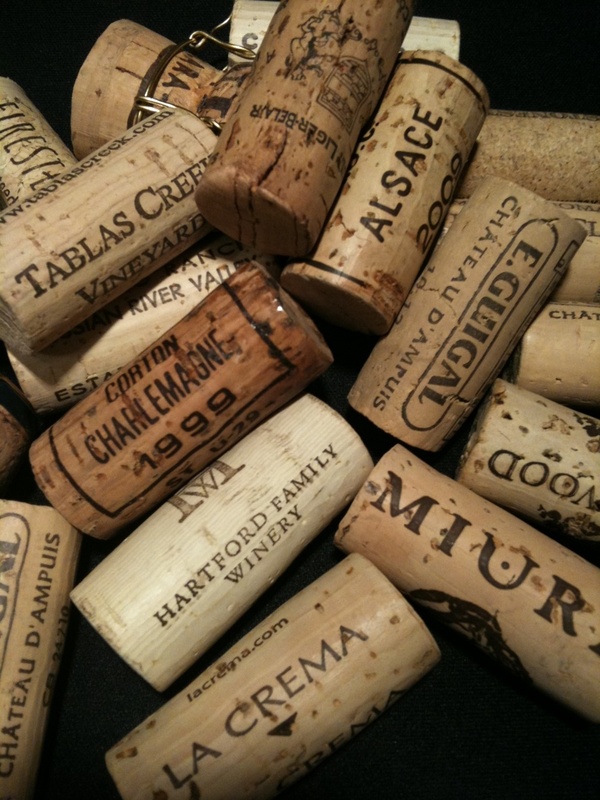 ~ by Thomas on June 26, 2011.
r wine corks from the 1800s worth money?